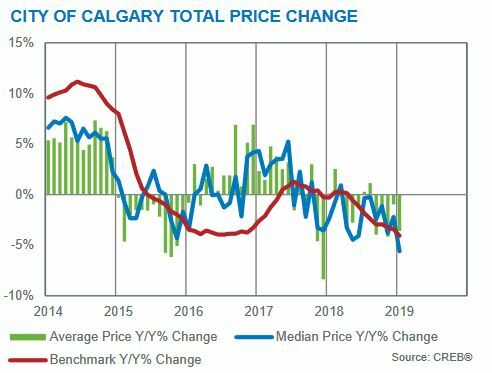 Economic challenges continue to make Calgary’s residential market recovery as sluggish as it gets. This is similar to the statistics seen in December of 2018. In January of 2019, total sales were 16 percent lower on a year-over-year comparison and 21 percent below the long-term average, with 804 total units. According to analysts, it’s no surprise that the new year has started off the way it did. Many consumers are concerned about the current job market and state of the energy sector both provincially and nationally. It’s expected that these slow market conditions will continue through until spring. While the amount of new listings entering the market stayed similar to that in January 2018, sales activity remains much lower. A market with inventory levels elevated to nearly seven months is the result. A continued buyers’ market in the first month of 2019 has continued to affect prices. In January 2019, the city-wide benchmark price dropped to $414,800, about 1 per cent lower month-to-month and 4 per cent lower year-over-year. Are you going to make a move in today’s real estate market? If so, it’s best you get the best service and advice from an expert REALTOR®! REALTORS® are typically full-time real estate agents who make a living by helping people like yourself buy and sell properties. That means they have more experience, more tools and more connections to help make your move a success! Aren’t too sure how to find a REALTOR® for the job? See our Calgary REALTOR® Interview Guide today. As a highly experienced REALTOR® with REMAX House of Real Estate, I would love the opportunity to guide you towards a successful purchase of sale. Call me anytime! Why Use a REMAX Agent in Calgary? 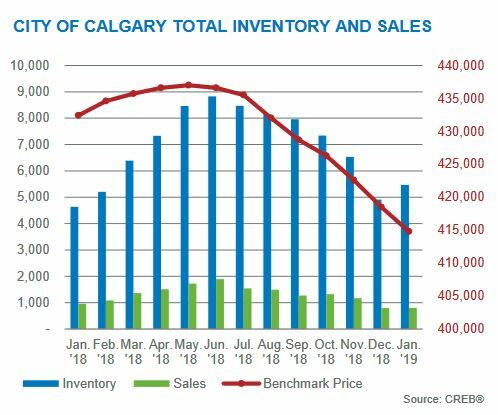 See our month-to-month Calgary Real Estate Market Updates for a broad look at home sales trends, statistics and analysis dating back to 2012! 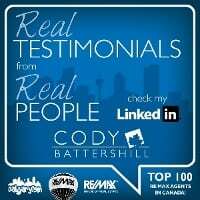 Questions about the Calgary Real Estate Market? 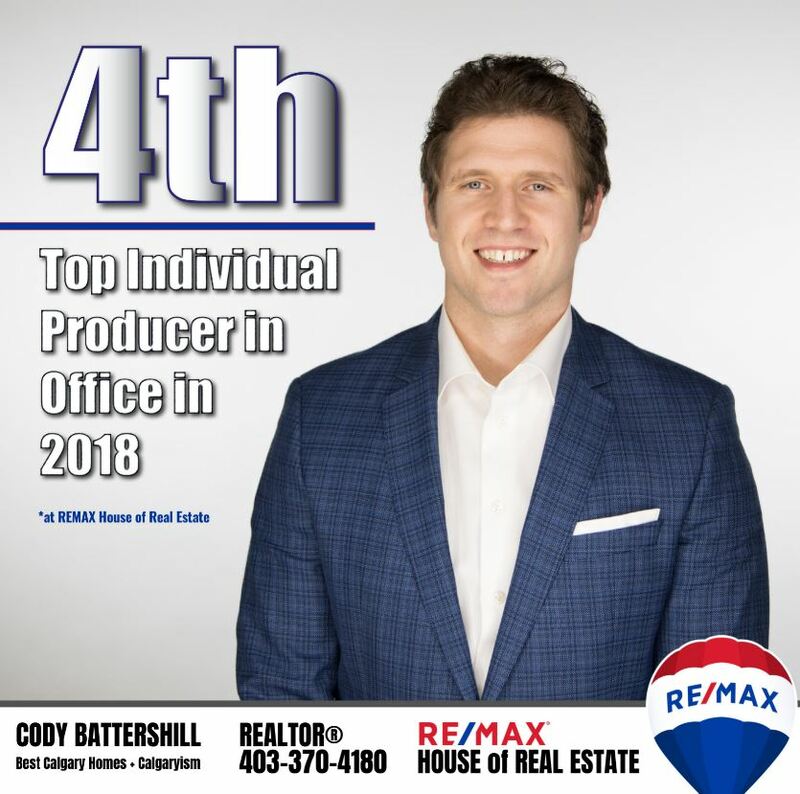 As a top-producing REMAX real estate agent in my office (2018) and in top 100 in Canada (2013, 2014, 2015h), I guarantee the best service and advice while guiding you towards accomplishing your real estate goals! Call me anytime at 403-370-4180 or send a message below for a quick, if not immediate response. I am looking forward to discussing your real estate plans with you!